Illustration by Jonny Goldstein who will provide live graphic facilitation of this highly interactive and fun panel. I’ll be at SXSWi Festival next week to moderate a panel and discussion on Free Agents and Nonprofits in a Networked World on Sunday, March 13 at 3:30 pm. Our panelists include Danielle Brigida, National Wildlife Federation, Mark Horvath , Invisible People, and Jessica Dheere, SMEX Beirut. The session title is based on a chapter in our book, The Networked Nonprofit. The audience will explore how nonprofits can unleash the power of social good by transitioning from stand-alone institutions to networks energized by abundant resources. In order to do this, they need to work with free agents, hyper-connected individuals who are passionate about social change, but don’t work within institutional walls. Our session will explore how free agents and nonprofits can work together, bringing together a group of highly visible free agents working on important social change causes, including those in the Middle East, and representatives from different nonprofits for a lively discussion with the audience in the room and through Twitter, around the world. Having just returned from a trip to the Middle East for the E-Mediat project, I’m thrilled to have the opportunity to bring many different voices to this discussion – both live and through Twitter. I’ve invited my colleagues from NGOs and Free Agents from around the globe to chime in (provided it isn’t in the middle of the night for them.) This is my most daring exercise in designing an interactive, global learning experience. 1.) We will have a simultaneous tweet-up taking place in Beirut, Lebanon and connect with them on Twitter using the hashtag #netnon. 2.) Twitter Advocate Andrea Burton, from Meedan, a nonprofit social technology organization whose mission is to increase the access to knowledge on the Arabic web and to scale the amount of social web interaction between English and Arabic language web communities will be in the room and facilitate live translated tweets between English and Arabic. 3.) Jonny Goldstein will be our graphic facilitator and capture the conversation – these images will be shared on Twitter with NGOs around the world. 4.) We will have several Twitter Advocates in the room live tweeting and sharing resources as we go. Twitter advocates include: Katie Shields, Dan Portnoy, Evonne Heyning, and Fran Stephenson. If you’re coming to SXSW and want to help out, leave a comment below. 5.) 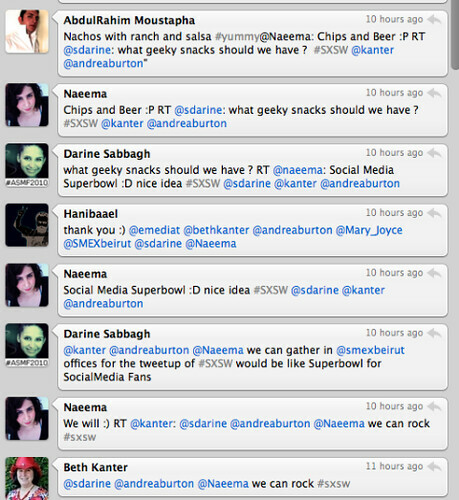 If you won’t be at SXSW, follow the #netnon hashtag. Here’s the world time clock. So, come join the fun and learn. PS My Friend, Frank Barry, asked me to share a link to his SXSW panel on Monday, March 14th at 9:30 am with representatives from social media companies like Twitter, Facebook, YouTube, FourSquare and more. I will be there & looking forward to it. I’ve learned a lot about using networks for learning from your blog & projects! Or maybe hijab and abaya (abaya is the gown, hijab is the hair covering). 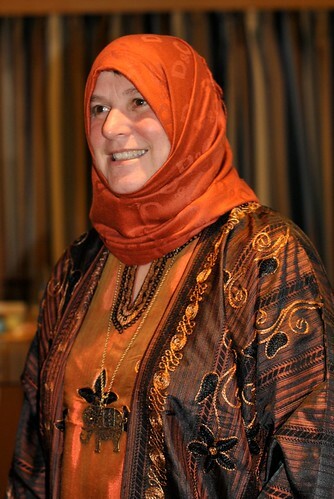 Haja is a title given to women who have done the Haj (Muslim pilgrimage). AMAZING! I so regret that I can’t be there! I will definitely be following on twitter! 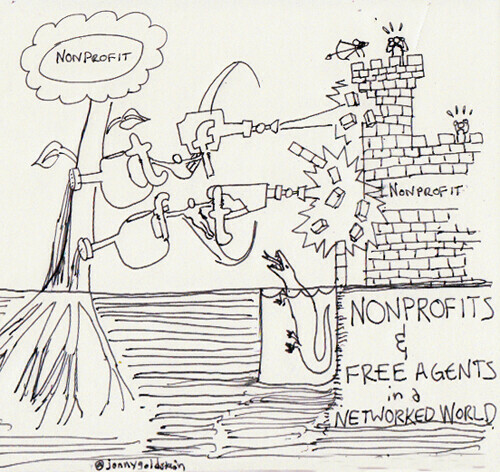 SXSW Panel: Join A Global Discussion About Free Agents and Nonprofits in a Networked World | Bethâ€™s Blog – just great!